It’s one of the most annoying things that can happen to drivers or passengers: Dropping loose change (or your phone or your wallet) between the seats. Those confined, difficult to get into spaces are like miniature black holes in most cars, swallowing up what you drop and sometimes making it impossible to retrieve your sorely needed stuff. This can be a distraction while driving, as well as a huge inconvenience if you’re running late and you’re trying to fish something important (like your wallet or phone) out of the dreaded automotive "Crevice of No Return." 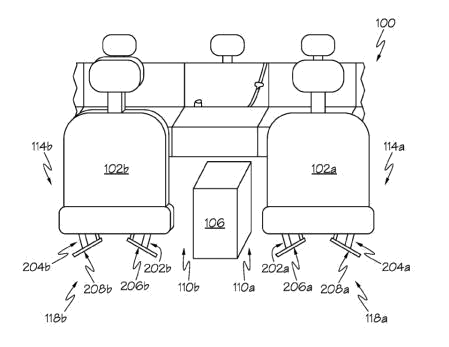 If this is a scenario you'd rather never face down again as you make your way around Long Island, we here at Westbury Toyota have some good news for you: Toyota’s new patent is a device that can catch things that fall in between the seats and make them easy to retrieve. Soon, should this patent pan out into a legitimate feature found within future Toyota models, you will be able to drive with confidence knowing that anything that slips between your seat and the center console will still be well within your reach. As Car Throttle’s Matt Kimberly explains, Toyota's new coin-catching device is actually pretty simple in design, but that doesn’t mean that it isn’t also a brilliant new concept. Specifically, this new tool consists of chutes situated on either side of the center console that redirect anything that’s been dropped into a retrieval compartment located under the seats. A rough outline of the patent (officially known as the "under seat capture device" according to The Drive's Chris Tsui) can be viewed below. A rough outline of Toyota's schematic for its new coin-catching device. To make it even more useful, the chute can move back and forth with actuators and motors, giving it greater efficiency to catch your quarters, phone, snacks, and whatever else might elude your grasp while you are behind the wheel. Retrieving what you’ve dropped is a simple matter, too. You don’t have to blindly reach around with your hand jammed between the seats anymore; all you need to do is get out of the car and check the retrieval compartment beneath your seat to pick up whatever it is you dropped earlier. Additionally, the patent also offers up plans for extra capture devices located on the door sills and in between the other seats. While those areas aren’t nearly as prone to swallowing up any treasure (or junk) that might fall out of your pockets, purse, or hands, you’d probably still be pretty surprised to see what’s down there. Toyota is covering all bases with this patent, which means that if (and when) it’s implemented, you'll soon see exactly just how much stuff your car is capable of swallowing. 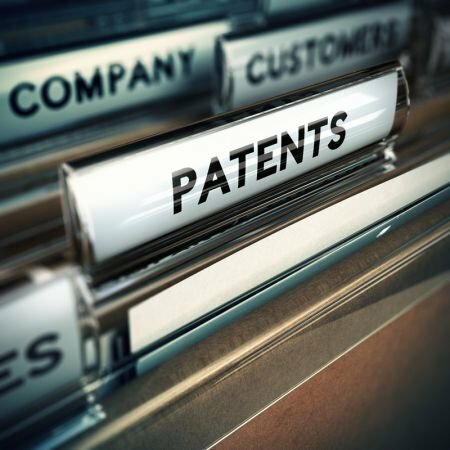 "The patent goes on to cover manually-operated under seat capture devices and also devices installed in between the seats and door sills." It’s not all about convenience, though. When you do drop something between the seats while driving, common sense dictates that you just forget about it until you’re parked. However, instinct usually prompts most drivers to try and fish around to get back what they’ve dropped. This is a distraction while driving, and obviously an unsafe practice. The coin-catching device fortunately removes this hazard entirely, letting drivers continue in peace knowing that they’ll be able to get their stuff back once they’re parked somewhere. Impressive though this coin-catching device may be, it is far from the first intriguing, useful patent designed by the Toyota team. As John Beltz Snyder of Autoblog reports, Toyota has a long history of innovation, including patenting an "automated" manual transmission and even a see-through A-pillar. In other words, breaking the mold and finding clever new ways to think outside of the box (and improve your experience as a proud Toyota owner) is really just part of the process for the men and women who make up the engineering team for this automotive powerhouse. The coin-catching device patent, which is equally as innovative as the aforementioned examples of Toyota's creative approach to solving common automotive problems, provides drivers and passengers with a convenient fix that, frankly, has been a long time coming. Losing things between the seats and the center console has been a universal irritant that every driver has known at one point or another in their lives, and the fact that Toyota has been the company to finally address that problem is pretty exciting. It won’t be long until the days of losing things forever into the abyss between the seats are over, and the Westbury Toyota team (as well as every other driver in Long Island, for that matter) is looking forward to when this time finally comes!